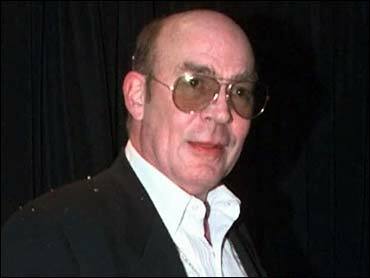 The widow of journalist Hunter S. Thompson said her husband killed himself while the two were talking on the phone. She said her husband had asked her to come home from a health club so they could work on his weekly ESPN column — but instead of saying goodbye, he set the telephone down and shot himself. Thompson said she heard a loud, muffled noise, but didn't know what had happened. "I was waiting for him to get back on the phone," she said. Hunter Thompson, famous for "Fear and Loathing in Las Vegas" and other works of New Journalism, shot himself in the head Sunday in the kitchen of his Aspen-area home. He was 67. Anita Thompson, 32, said she and her husband had a small tiff that afternoon and he had asked her to leave the kitchen and go to the office with her son. Instead, she left the house and went to the gym. Hunter Thompson's son, daughter-in-law and 6-year-old grandson were in the house when the shooting occurred. Anita Thompson said her husband had discussed killing himself in recent months and had been issuing verbal and written directives about what he wanted done with his body, his unpublished works and his assets. His suicidal talk put a strain on their relationship, she said. "He wanted to leave on top of his game. I wish I could have been more supportive of his decision," she said. "It was a problem for us." In an interview with The Rocky Mountain News, Anita Thompson said she has come to understand his suicide. "This is a triumph of his, not a desperate, tragic failure," she said. "He lived a beautiful life and he lived it on his own terms, all the way from the very beginning to the very end." Thompson's widow said she plans to stay on at the expansive property that he owned, and will continue to help administer the writer's works.